Tina Smith, VP of Marketing for Wholesale, Indirect and Alliances, has 25+ years of sales and marketing experience in the IT/communications industry. Smith is widely considered an innovator, respected leader, and has excelled in her ability to drive results within organizations. 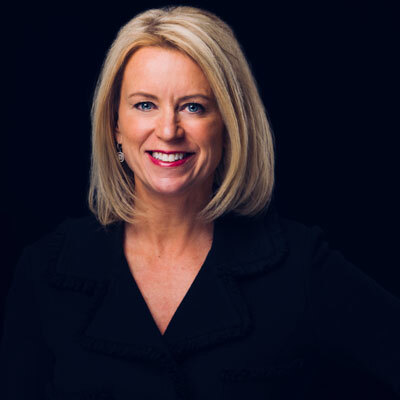 Joining Qwest (now CenturyLink) in 1998, Smith built a successful career in sales leading to her position as Area Vice President, Enterprise and Business Sales. In 2012, with a desire to leverage her knowledge of sales and an instinct for "what works in the market", she became Director of Business Marketing. In 2017, Tina was asked to lead the Wholesale, Indirect and Alliances Marketing Team as Vice President - a testament to her impressive track record. Tina has led her team in creating powerful tools, campaigns, collateral and messages that win. She is the lead architect on developing the premier Indirect Channel marketing team in the industry, offering innovative programs to open doors for CenturyLink's Partners to access new revenue opportunities. Tina has been named a Circle of Excellence or President's Club Winner eleven times. In 2017, she was recognized as a CRN Women of the Channel Power 100 Honoree and received the Women in the Channel LEAD Award. In early 2017, CenturyLink launched what is widely recognized as the leading Indirect Channel incentive program in the industry with the Ascend Medals Program. We are able to differentiate ourselves from competitors by organizing our Partners into Medal tiers. Partners in each tier receive tools for success and rewards based on performance, including innovative marketing programs and tools. Over the last year, my team has led a marketing strategy that equips Partners with customized support to help increase sales and grow their business - from exclusive hospitality, education and relationship-building events, to co-marketing automation platform access, to content syndication, to door opener campaigns, collateral, and more. CenturyLink's acquisition of Level 3 in 2017 provided the opportunity to expand my role as VP of Marketing for the Indirect Channel, along with the Wholesale and Alliances Channels. With an expansion of the resources on my team, we have been able to dig deeper into Partners' needs with a 360-degree marketing approach that includes analytics, Partner recruitment, Partner and field engagement, and increased support on campaigns, content and tools. We hear frequently that the level of marketing support we offer to CenturyLink Channel Partners is unlike any other program in the industry. My goals for this year focus around digging deeper into our Partners' strategies with specific go-to-market plans tailored to their individual businesses. Other channel goals include driving growth with our current Partners by enhancing the Medals Program; re-casting our channel personality to the industry (the new CenturyLink Channel Partner Program); Increasing wallet share from our top existing Partners, including winning large deal pursuits and repeatable sales volume; recruit new and top tier Partners; elevate perception of and participation in our program by making it easier to do business with us and elevating our support, offerings, and benefits. Last year, I was named among CRN's 2017 Women of the Channel. It was a special personal honor for me to be selected for the CRN Power 100 list among some of the most influential women in the industry. Thank you again. In addition, I was a recipient of the 2017 LEAD Award from Women in the Channel, an industry organization dedicated to the growth of female leaders. I was named as one of five women selected by industry peers based on leadership, innovation, and mentorship and advocacy for women in the channel. Temple Grandin, a fellow Coloradoan, is a woman who I admire greatly. Faced with the challenges of autism, Temple found her calling early in life, used the skills she was given, and excelled to become a world-renowned author, speaker, and leading expert to the livestock industry on animal behavior. She mixed her skills with her unique passion to do the best she could --- and that combination led to amazing results. Her story is one of fearlessness and perseverance. Temple is a pioneer and inspiration for children with autism, like my nephew Tucker, and I admire her for it. I would remind my 16-year-old self to always have confidence in myself and my abilities. Many women of all ages struggle with this, but we are much stronger than we sometimes think. If you believe in yourself and project confidence, it will become you. In addition, I would give myself some advice about change: Change is inevitable, but what matters is how you react and adapt to it. Embrace change with a positive outlook and you will find opportunity in it. With the right attitude and some flexibility, you will thrive in the business world and in life. Team-building is a skill that any leader can continue to hone as dynamics change and teams expand. As I mentioned in a previous answer, change is inevitable and the harmony and productivity of your team is vital foundation for success. The way to make a marketing organization operate as a well-oiled machine is through team building, so this is an area where I will continue to perpetually focus and improve. One book that stands out to me is called, "Getting More," by Stuart Diamond, who gives thoughtful advice on how to achieve goals through the art of thoughtful negotiation. Negotiation skills are helpful for getting ahead in the business world, but they do not come naturally to many people. This book describes how to value others' emotions and perceptions to achieve much more than you can with conventional logic. I found the advice in this book lends itself well not only to work, but to many aspects of everyday life.